The "Iroquois" was more commonly known as the "Huey" as there were a series of the "HU" models which were subsequently re-designated "UH." 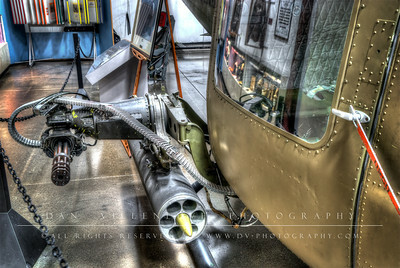 Various versions of this helicopter are operational with more than 36 air forces around the world. Well over 6,000 have been produced. 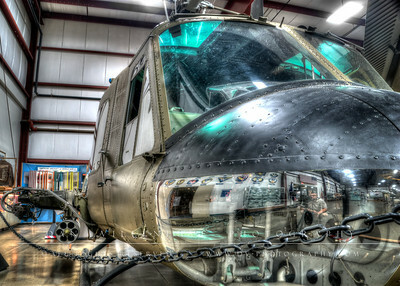 The UH-1B was the first version of the Huey to serve with the U.S. Army in Vietnam and were the mainstay of Army Air Development Operations. 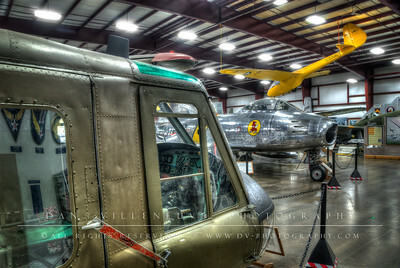 They were used as transports, gunships, airborne ambulances, search/rescue and as general utility aircraft. The design first flew in 1955 and the aircraft has been produced under license in Japan, Italy and Germany. 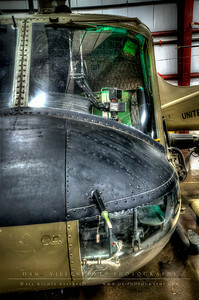 A pure gunship development of the Huey was the AH-1G "Hueycobra."